65 Web and Mobile App Analytics Tools — Handy lists of analytics tools for mobile sites and apps. Mobile-First News: How People Use Smartphones to Access Information — This report from a study by Nielsen is focused on news consumption, but has interesting insights into general browsing habits, including differences in app versus web browsing. 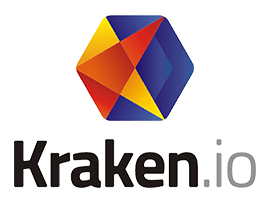 Generate blazingly fast image responsive images — Kraken.io's image optimization and manipulation API can help you vastly speed up your mobile apps and sites. Sign up today and start improving your UX. The Mobile Web: State of the Union (at Google I/O) — A session that’s going to be livestreamed tomorrow (May 19) at 2pm Pacific. What Are The Most Important Factors For Mobile Shoppers? — Mobile accounted for roughly 1 in every 6 retail dollars spent online during Q4 2015, per a recent report from comScore. Firefox for iOS Makes it Faster and Easier to Use the Mobile Web — A new update to Firefox for iOS. Creating Hybrid Applications With Monaca and ES6 — How to create hybrid mobile apps with Monaca, ES6 and Gulp. Build A Simple Mobile App With NativeScript And Angular 2 — How to build a todo app using NativeScript for Android and iOS using the Angular 2 framework and TypeScript. How to Use the Cordova Geolocation API in an Ionic App — Learn how to use Appery.io to build an Ionic app that uses the Geolocation API in this short video. Pre-Touch Sensing for Mobile Interaction (Video) — Not specifically mobile web, but some interesting research into sensing a user’s grip and “pre-touch” on mobile devices to adapt interfaces on the fly. What Percent of App Downloads Become Engaged Users? — Learn how to create a strong onboarding process within your apps to ensure your downloads are translating into engaged users. Try Augmented Reality with the PhoneGap Developer App — The PhoneGap Developer App now includes the Wikitude Cordova plugin to allow users to easily test their augmented reality projects. Thoughts on NativeScript 2.0 — Ray shares his initial impressions after learning NativeScript via the getting started guide. Latest News in Onsen UI Environment — Latest news in Onsen UI includes their 2.0 RC React Components, a new interactive tutorial, community forum and more. Using Ionic 2 SqlStorage For a Simple Evernote Clone — How to use Ionic 2 with SqlStorage to build a simple Evernote Light app. Getting Started With Ionic: Navigation — This part in the tutorial series covers adding the side menu and tabs components into the app.